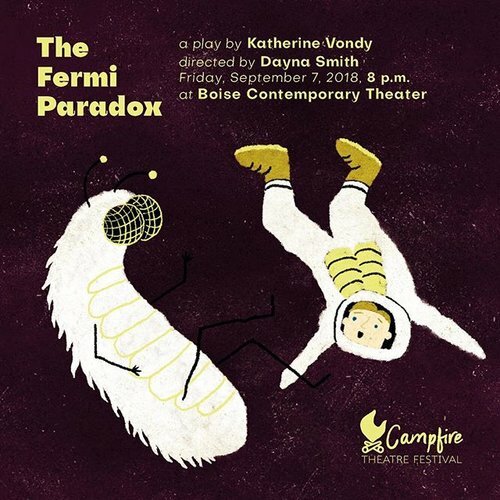 THE FERMI PARADOX opens the Campfire Theatre Festival tomorrow! Come to Boise Contemporary Theatre at 8:00 PM if you are in Idaho and want to check out the reading. Tickets are $10, and the theater is at 854 Fulton Street, Boise, ID 83702. You can also check out Boise Weekly’s coverage of the festival to read about the other plays and events!